Good stay! ... After staying at the worst hotel in egypt, it was a releave to arrive at the richmond in cairo. 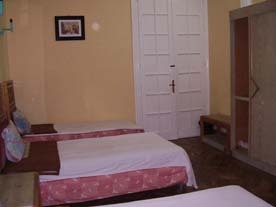 The hostel looks very nice, and so are the rooms. 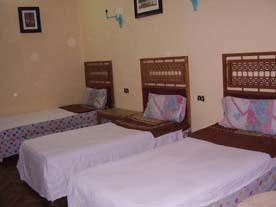 The beds are very comfortable and the staff very friendly. On top of this, the location is perfect. 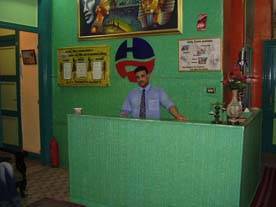 Hotel Richmond welcomes budget travelers right in the heart of downtown Cairo, a mere 10 minutes' walk from the Egyptian Museum and from Ramses train station. 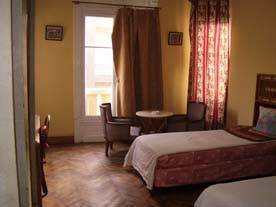 Our hostel is housed in a beautiful 19th-century building with plenty of period character. 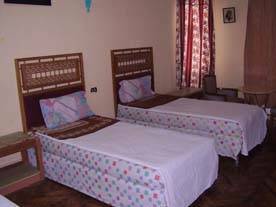 Guests can enjoy huge rooms with high ceilings and original hardwood floors, in the combination that best suits your needs (from singles to triples, including a number of super-comfortable king-sized beds). 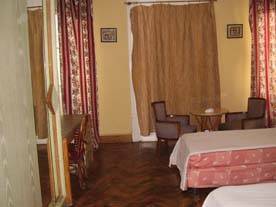 And after a long day spent discovering the treasures of Cairo, just come relax in our two comfortable lounges with satellite T. V. and internet service! 10 minutes' walk from the Egyptian Museum and from Ramses train station.